John Darnielle’s new novel Universal Harvester is an urban legend — a convoluted and ultimately disappointing one, but enough of a creepy modern folktale to appeal to those readers sensitive to nostalgic storytelling. There was a time once of a limited cultural wheelhouse that confined a person’s touchstones only to the stories they’ve personally encountered or traded, when a hook-hand was a fresh idea if you hadn’t heard it already. There was no Google to spell out all the hidden references of a nuanced story, flag something as derivative, or validate any truth; a time before DVDs, blu-rays, and snopes.com, long before all the information in the world was harvested and networked. If we encountered Universal Harvester in the late nineties in which it’s set, when Reindeer Games and She’s All That rested proudly on the New Releases shelf of the local Video Hut, there would not have been an easy way for us to see Darnielle’s story through the reflections of others. When video clerk Jeremy learns of a haunting blip of footage spliced into some of his rentals, we wouldn’t think of Ringu, or its American remake, or Infinite Jest and its international terrorism by way of a fatal VHS, but simply that Jeremy was in for a world of trouble and we’d buckle down for some scares. The first half of the novel does exactly that: Darnielle deftly builds a fog of dread throughout the town of Nevada, Iowa (the first “a” in Nevada is long, as in the word “quaint”). He couples the small-town charm of a place where everyone knows everyone with a secret that nobody knows: Jeremy shares his discovery with a friend, his boss Sarah Jane, and his father, each of whom find themselves captivated in turn by these strange spliced scenes. One clip depicts a hooded figure who may have been kidnapped, sitting in a familiar-looking barn. Another video shows what appears to be CC-TV security footage, almost as if the filmmaker was looking for something. 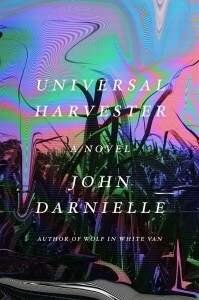 Although some genuine frights would make Universal Harvester a more exciting read, Darnielle’s careful control of these spliced scenes is quietly effective: the reader and protagonist cannot look for clues without considering who made these tapes and what they were looking to find in their creation. Unfortunately, Darnielle takes an odd turn and reveals outright the tape-editor’s identity as one Lisa Sample, and spends an entire section of the novel tracing her childhood and the events that shaped her curious adult behavior. This diminishes the intensity of the early phases of the novel: what once appeared to be a clue from a 90s-style horror-thriller is revealed to be something far more human — strange, sure, but certainly not the work of a serial killer. What was initially a compelling mystery softens into a story about families, the importance of a stable home, and the persistence of memory and loss. This disappointing shift in tone should not come as a surprise to readers. Repeatedly throughout Universal Harvester, the narrator wanders into the same perplexing tangent about how there are “different versions” of this story that lead to other fates for its characters. (Imagine a self-aware Choose Your Own Adventure book that tries to be all its adventures at once.) In one “variation on this story so pervasive that it’s sometimes thought of not as a variation but a central thread,” Sarah Jane leaves several important details of her investigating “deliberately incomplete,” “as if there were no more to say.” In that version, the story would be finished before Jeremy could learn more. Later in the novel, the narrator envisions a version of Jeremy’s life as how it would play out in Hollywood, “where the hero comes to think of himself as being rescued.” “But this isn’t Hollywood,” the narrator reminds. Further on, the narrator explains “there is at least one version of Lisa Sample’s story” when detailing some minutiae in her background history. This is interesting in theory, particularly in a book that pulls itself away from an easy Hollywood thriller towards a more complicated, familial story. Darnielle conjures ideas of narrative veracity, of re-telling stories and embellishing elements, and even approaches some grand statements about the nature of fiction and how it affects both creators and receivers: perhaps all art is a search for something. But this folksy campfire aside comes back again and again throughout the novel, unspooling it’s potent ideas into an unrecognizable mess. Every lull in the story is filled with these metafictional, theoretical blips that hint momentarily of other timelines; they’re tiresome and in need of a drastic edit. Due to their repeated occurrences, their sentiments become easy to apply to Darnielle’s writing and not simply the many potential outcomes of the narrator’s legend: readers will easily come up with better ideas for Universal Harvester. In a way, they’re repeatedly invited to do so. 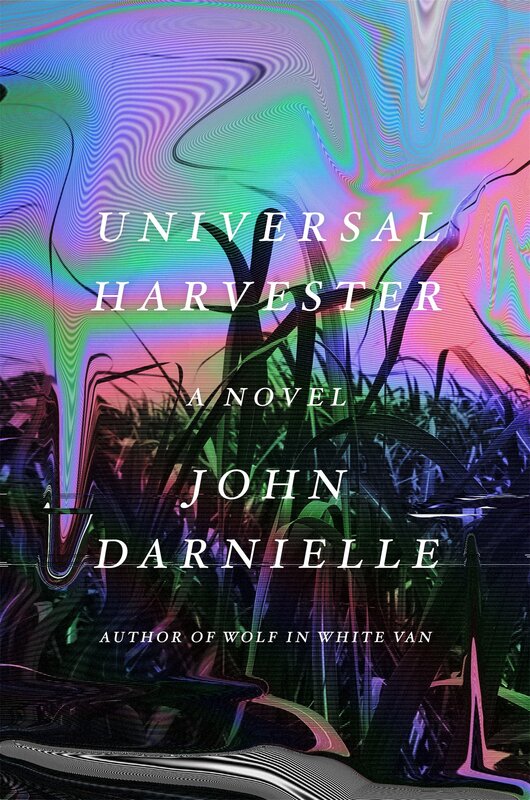 If only there were another version of this story, where Universal Harvester was Darnielle’s inspired but uneven debut and not the lackluster second novel by an author who has proven to be capable of so much more.